Scroll down the page for many excellent parent and child resources! In an effort to help parents help thir children and to give students a way to take responsibility for their own learning, the West Virginia Department of Education has launched Learn 21. You can find it at http://wvde.state.wv.us/learn21/.This online learning website offers students and parents educational resources that can be accessed 24 hours a day, seven days a week. The site includes hundreds of grade specific offerings for preschool through 12th grade in social studies, science, and math. New resources are added monthly with the help of educators across the state. The site is to be expanded further to include language arts and reading tools, fine arts, health, and career and technical education. Here is a link to WVDE’s information for parents. Here you will find helpful information and resources! Read WV is designed to promote literacy and encourage children and the adults in their lives to make reading a priority early in life and to ensure that children read every day. Reading well is one of the most important skills a child needs to learn. When children become good readers in the early grades, they are more likely to perform well in other subjects. It is the key building block to developing skills that lead to college and career succes. Read to your children, have them read to you, read aloud, READ! Developed by the West Virginia Department of Education, this site includes information and links that can be used to help children not only learn to read better but to develop a love of reading. As author Ernest Hemingway said, “There is no friend as loyal as a book.” Every child should be encouraged to make this discovery. If you know of anyone with a child 0 to 5, register with the Dolly Parton Imagination Library (if your kids will go to Clay County Schools) for the child to receive a book monthly FREE! Counties with the Dolly Parton Imagination Library are Barbour, Braxton, Brooke, Calhoun, Clay, Doddridge, Hancock, Harrison, Lincoln, Marion, Marshall, Mason, McDowell, Mingo, Monongalia, Ohio, Pleasants, Preston, Roane, Summers, Taylor, Tucker, Tyler, Webster, Wetzel, Wirt, and Wyoming. To sign up go to http://www.imaginationlibrary.com/usa/ and click on First Time Visitors and then Register Online! Clay County Parents As Teachers work with expectant mothers and families with babies, toddlers, or children that have not started to school. Visit their website at http://www.inhomefamilyed.com/clay/ to learn about the program and/or to find additional resources. The Clay County Schools Parent Resource Center will provide information to parents. Please click on PARENT RESOURCE FLYER to download a list of available information. Instructions on how to receive the information is included. We will try to locate any information not listed. Parent Newsletters – These two-page parent newsletters from The Parent Institute, “Helping Children Learn” and “Helping Students Learn” will help parents help their children succeed in school! 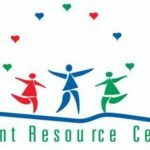 The most requested information from the Clay County Board of Education Parent Resource Center has been for materials on how parents can help their children learn. Over eight million parents across the country see all or part of one of the four age-appropriate newsletters each month during the school year. Parents can use these ideas to: motivate their children, build self-esteem and responsibility, encourage reading and learning at home, improve discipline, help at-risk families help their children, and more! Helping Children Learn! and Helping Students Learn! are published monthly nine times a year (September-May). Free resources for helping your child with reading! Thinkfinity offers “Thousands of Free Resources/Activitie”s for you and your child! The school district will put into operation programs, activities, and procedures for the involvement of parents in all of its schools. These programs, activities, and procedures will be planned and operated with meaningful consultation with parents of participating children. The school district will work with its schools to ensure that the required school-level parental involvement policies meet the requirements of Title One of the Elementary and Secondary Education Act, and each includes, as a component, a school-parent compact. The school district will incorporate this district-wide parental involvement policy into its Local Education Agency Plan. The school district and its schools will provide full opportunities for the participation of parents with limited English proficiency, parents will disabilities, and parents of migratory children, including providing information and school reports in an understandable and uniform format, and including alternative formats upon request in a language parents understand. The school district will submit any parent comments with the Local Education Agency Plan if the plan is not satisfactory to the parents of participating children when the plan is submitted to the West Virginia Department of Education. The school district will involve the parents of children served in decisions about how funds reserved for parental involvement is spent, and will ensure that not less than ninety-five percent of the one percent reserved goes directly to the schools. that parents play an integral role in assisting their child’s learning. that parents are encouraged to be actively involved in their child’s education at school. the carrying out of other activities, such as those described in section 1118 of the Elementary and Secondary Education Act. The school district will inform parents and parental organizations of the purpose and existence of the Parental Information and Resource Center located at the Clay County Board Office. The Clay County School District will take the following actions to involve parents in the joint development, agreement, and distribution of its district-wide parental involvement plan. Establish the Clay County Schools Parental Involvement Advisory Council with parent representatives from each school that meets at least twice annually. During the first meeting parents will develop the district-wide parental involvement policy. Then they will take the proposed draft back to their individual schools and meet with parents to revise the draft and agree on a revised parental involvement policy. During the second meeting parents will share revised drafts from each school and come to agreement for a district-wide parental involvement policy. Then parents will take the agreed upon policy back to their individual schools and meet with parents to submit any comments if the plan is not satisfactory to the parents. All comments will be sent to the Director of Title One for inclusion in the Local Education Agency Plan submitted to the West Virginia Department of Education. The Clay County School District will take the following actions to involve parents in the process of school review and improvement. Members of the Clay County Schools Parental Involvement Advisory Council will facilitate a review of the district-wide parental involvement plan at their individual schools. Members of the Clay County Schools Parental Involvement Advisory Council will submit the results of their individual school reviews to the council to improve upon the current plan. The district-wide parental involvement policy will be reviewed and improved annually. The Clay County School District will provide the following necessary coordination, technical assistance, and other support to assist schools in planning and implementing effective parental involvement activities to improve student academic achievement and school performance. The Clay County School District will provide a workshop for school-level administrators about planning and implementing effective parental involvement activities to improve student academic achievement and school performance. School-level administrators will train their respective staffs about reaching out, communicating with, and working with parents. The Clay County School District will offer technical assistance and support to assist schools in planning and implementing their own parental involvement activities. The Clay County School District will coordinate and integrate parental involvement strategies with other programs, such as Head Start, Parents as Teachers, Home Instruction Program for Preschool Youngsters, and state-operated preschool programs. The Clay County School District will take the following actions to conduct, with the involvement of parents, an annual evaluation of the content and effectiveness of this parental involvement policy in improving the quality of its schools. The evaluation will include identifying barriers to greater participation by parents in parental involvement activities. Clay County Schools will use the findings of the evaluation about its parental involvement policy and activities to design strategies for more effective parental involvement, and to revise, if necessary (and with the involvement of parents) its parental involvement policy. Members of the Clay County Schools Parental Involvement Advisory Council will meet with parents at their respective schools to evaluate the content and effectiveness of the district-wide parental involvement policy in improving the quality of its schools. At this meeting parents will review the existing document, identify the barriers to greater participation in parental involvement activities, and design strategies for more effective parental involvement. Members of the Clay County Schools Parental Involvement Advisory Council will meet to share the results of their individual school’s evaluations and draft a revised district-wide parental involvement policy. Members of the Clay County Schools Parental Involvement Advisory Council will take the revised district-wide parental involvement policy back to their individual schools for agreement of a district-wide parental involvement policy. Parents may submit any comments if the plan is not satisfactory to them. Clay County Schools will educate its teachers, pupil services personnel, principals, and other staff in how to reach out to, communicate with, and work with parents as equal partners, in the value and utility of contributions of parents, and in how to implement and coordinate parent programs and build ties between parents and schools. Clay County Schools will coordinate and integrate parental involvement programs and activities with Head Start, Home Instruction Programs for Preschool Youngsters, the Parents as Teachers Program, and public preschool and other programs, and conduct other activities, such as parent resource centers, that encourage and support parents in more fully participating in the education of their children. Clay County Schools will take the following actions to ensure that information related to the school and parent-programs, meetings, and other activities, is distributed to the parents of participating children in an understandable and uniform format, including alternative formats upon request, and, to the extent practicable, in a language that parents can understand. The Clay County School District-wide Parental Involvement Policy will be distributed to parents via the district website and through copies sent home with the students. The Clay County School District-wide Parental Involvement Policy will be distributed to the community through publication on the district website as well as in the local newspaper. The Clay County School District will involve parents in the development of training for teachers, principals, and other educators to improve the effectiveness of parental involvement training. The Clay County School District will provide necessary literacy training for parents. The Clay County School District will offer transportation and childcare to enable parents to participate in a flexible number of school-related meetings and training sessions. The Clay County School District will train parents to enhance the involvement of other parents. The Clay County School District will arrange school meetings at a variety of times or conduct in-home conferences between teachers and other educators, who work directly with participating children and with parents who are unable to attend meetings and conferences at school. The Clay County School District will adopt and implement model approaches to improving parental involvement. The Clay County School District will establish a district-wide parent advisory council to provide advice on all matters related to parental involvement. The Clay County School District will develop appropriate roles for community-based organizations and businesses, including faith-based organizations, in parental involvement activities. The Clay County School District will provide reasonable support for parental involvement activities as requested by parents. The Clay County School District-wide Parental Involvement Policy has been developed jointly with, and agreed on with, parents of participating children as evidenced by meeting agendas, minutes, and sign in sheets.